Marvel and DC fans love going head to head by pitting their favorite superheroes against one another from different universes. This friendly to a fierce game of rivalry has inspired many a story arc by combining Marvel and Dc where they pit popular superheroes against each other, and the fans get to decide who wins. RELATED: Here’s The Strongest Version Of Spider-Man Who Can Beat Likes OF Hulk And Tri-Sentinel Easily. 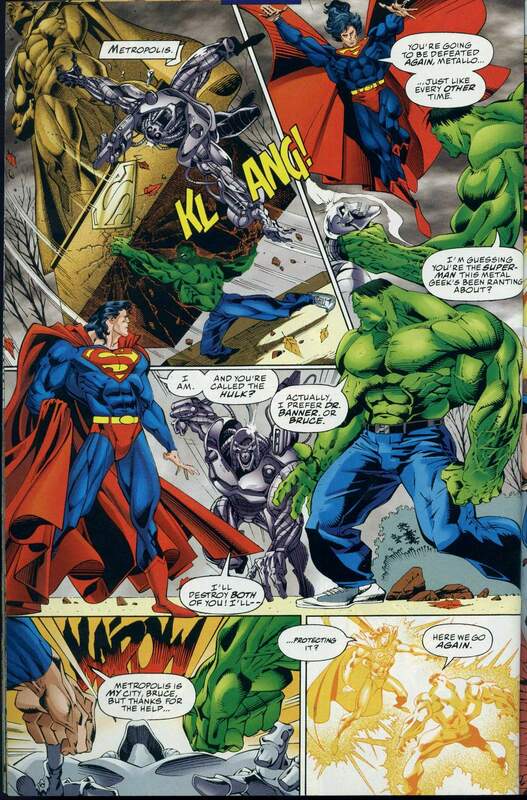 For starters, we get to see the ’90s incarnations of the characters fighting. 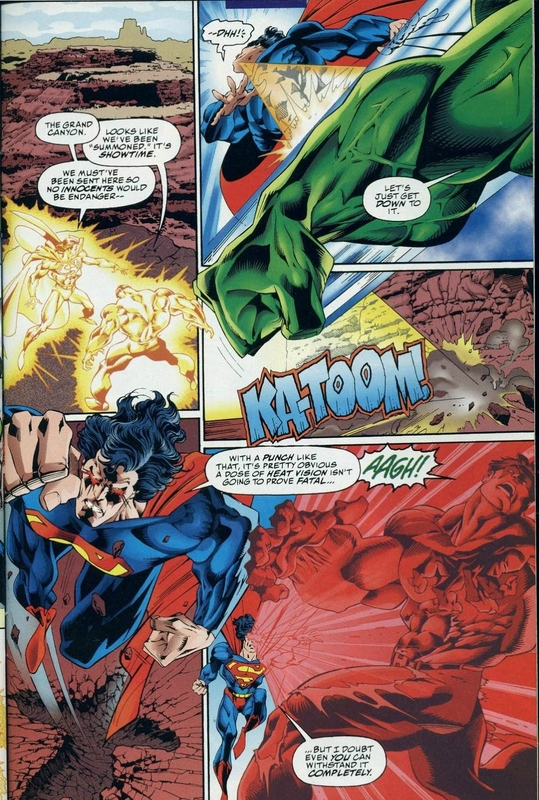 In this era, Superman rocks a mullet, and as for Hulk, Bruce Banner was in control of the Hulk form, meaning he also retained Bruce’s intelligence in Hulk form. 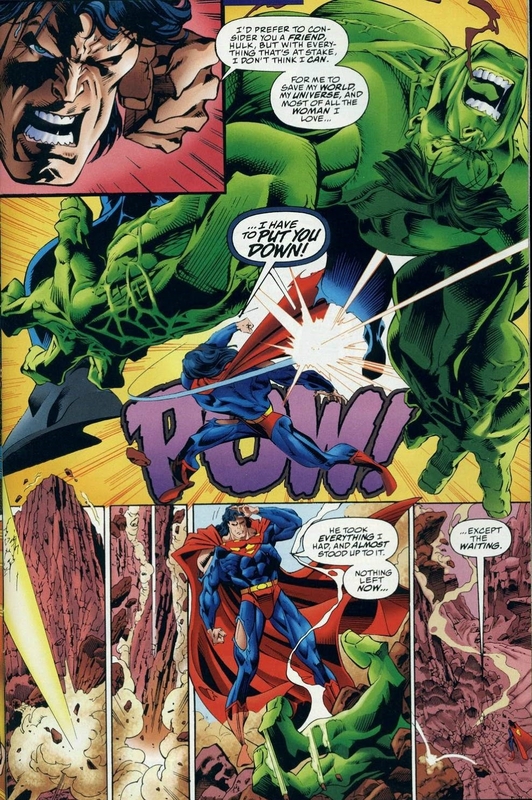 Superman and Bruce are transported to the Grand Canyon where their fight begins. 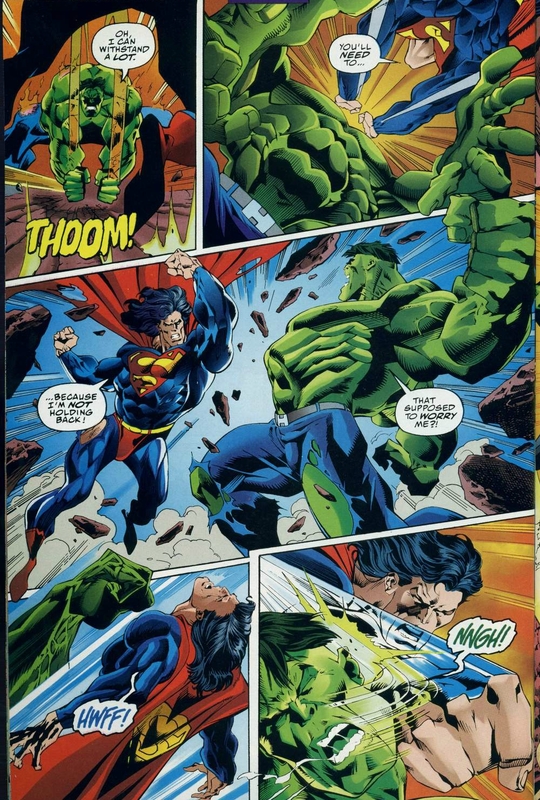 After trading a series of increasingly heavy blows, Superman defeats Hulk in the name of defending his universe and the woman he loves. 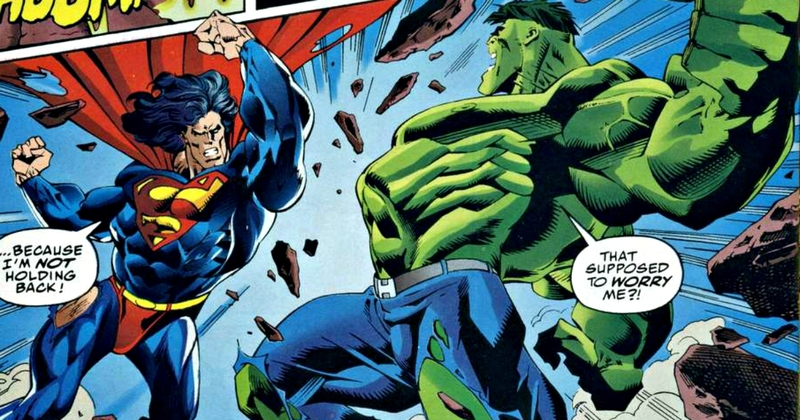 He delivers a final thunderous blow to Hulk finishing the battle by basically dropping a mountain on him.